Being a responsible vehicle owner means scheduling regular maintenance on your car, truck, SUV or minivan. Whether you need an oil change, a tire rotation, new brakes, or a vehicle repair, our team of highly trained and knowledgeable technicians has the proper OEM parts and tools at their disposal to provide you with the highest quality of repairs and maintenance possible. We’ve made scheduling service easy and convenient for customers in Jefferson, Knoxville, and the surrounding areas. You can simply schedule service online, and we’ll contact you to confirm the details. 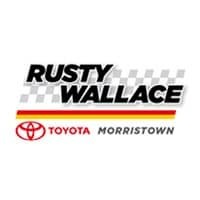 As Rusty Wallace, we believe in offering exceptional customer service every time you visit. That’s why we offer great perks like frequently updated special specials and offers that will help you save on the things your vehicle needs most. View or current service offers below, then schedule your service appointment today.